A family sedan has no business having 600 horsepower. It also has no business having a feature called Drift Mode, or being painted in gaudy matte black, or flaunting racing stripes. Yet, this is the world we live in today, and there’s no better time to be alive. 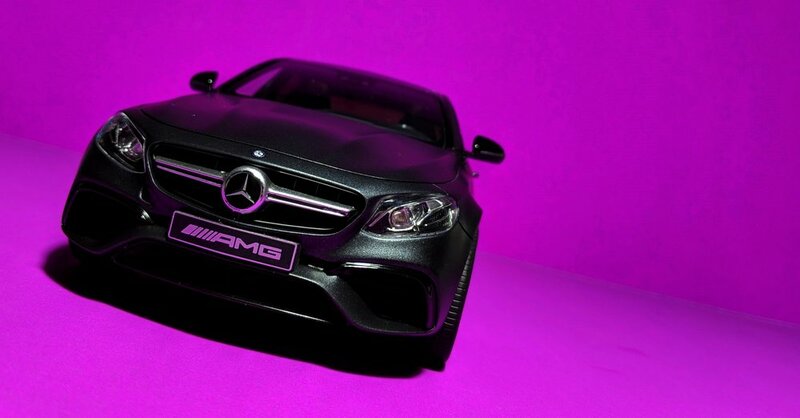 Meet the E63 S Edition 1, another one of Mercedes and AMG’s wicked creations. 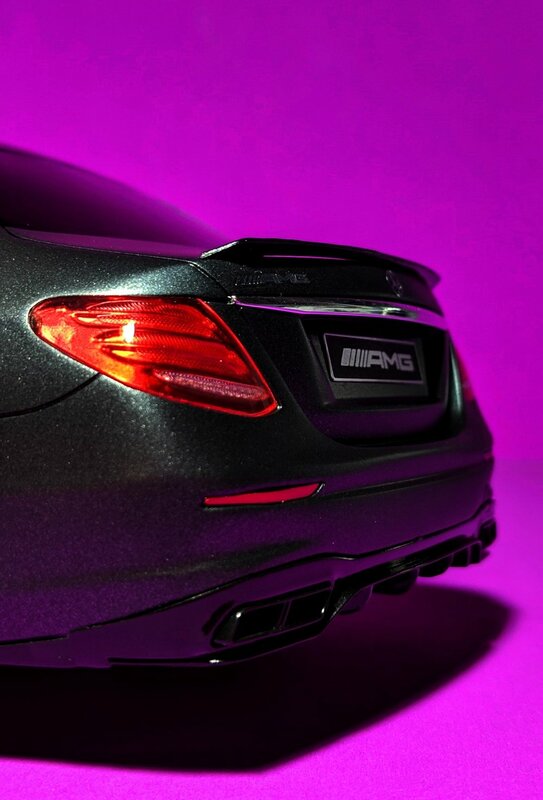 The Edition 1 is a special version of the E63 offered during its first year of production and is not unlike the “first edition” designations used in memorabilia such as trading cards and comic books. You’ll be able to pick these out of the crowd of “regular” E63’s by looking for the aforementioned matte black finish, called Designo Night Black Magno, and the grey stripes along the sides. Matte black is a fad that needs to die, but the Edition 1 looks shockingly good in this color. Also exclusive to the Edition 1 is yellow contrast stitching on the black leather interior; however, this is not replicated on the model you see here. As indicated by the fender badges, the E63 S possesses a twin-turbo V8 that puts out a brutal 603 horsepower and even more than that in pound-feet of torque. Absolutely ridiculous. Putting that kind of power down to all four wheels allows it to keep pace with the supercars from stoplight to stoplight. While it’s completely unnecessary for a family sedan, it wouldn’t be an AMG without the excess. 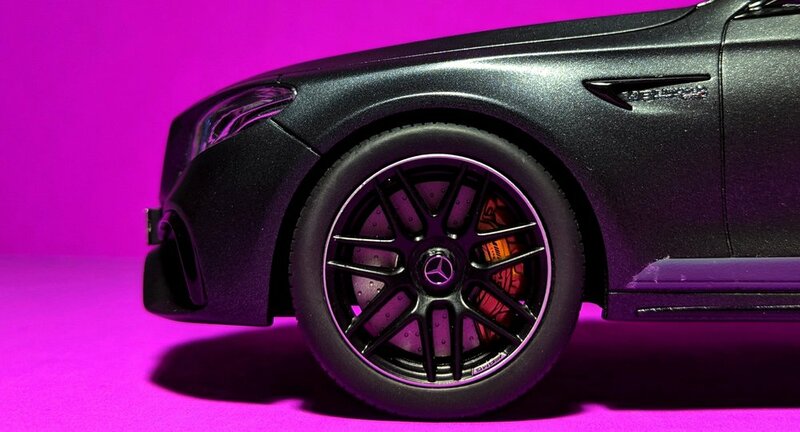 And with that kind of speed, the E63 is sure to be a favorite among the kids, because what kid wouldn’t like to be shuttled around in what is essentially a rocket on wheels? The numbers are impressive, but aesthetically, you have to wonder what’s happened to Mercedes-Benz in the last few years. They’ve taken the Audi route, making all of their cars look the same and depriving them of their individual identities. I’m not quite sure I can tell the difference between an E-klasse and a C-klasse anymore, if you only give me one angle to look at. And, as far as the current crop of Benzes goes, I’m not a fan of the flat noses, rounded edges, and overall uninspiring designs. Needless to say, this E63 is not as visually appealing as the generations that have come before it. This dealer-exclusive GT Spirit model doesn’t quite do it justice either. The wheels are undersized, the car rides a little high - likely due to its thick tires - and it’s missing the Edition 1’s unique yellow stitching on the relatively basic interior. 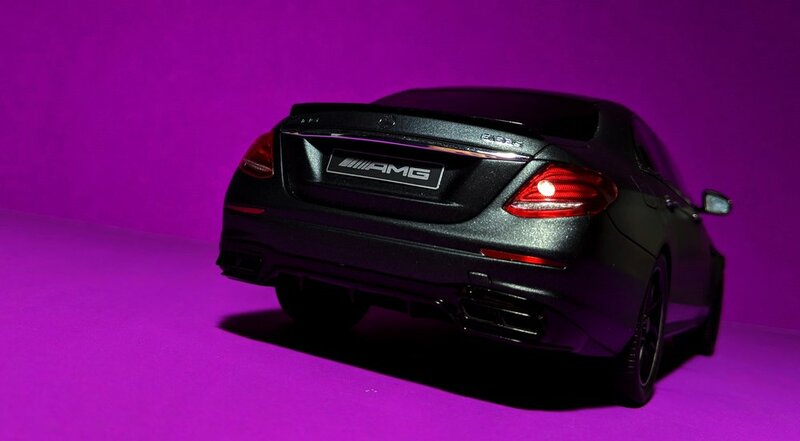 Thus, it’s really just a rehash of GT Spirit’s standard E63 model, which should be out any minute now. I will have the silver one in my hands soon, and a comparison will follow shortly thereafter.